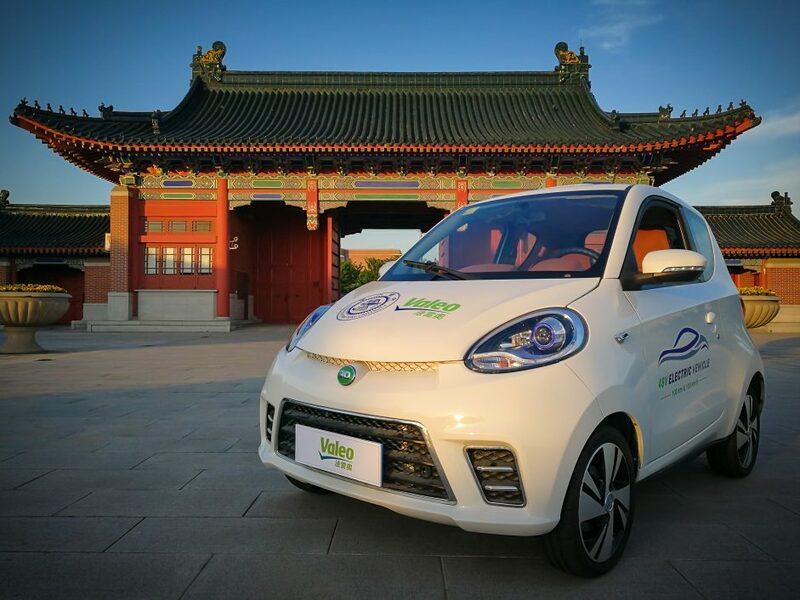 During Auto China 2018, the 15th edition of the Beijing International Automotive Exhibition, Valeo revealed what the future of electric and hybrid vehicles will look like with its range of low voltage (48V) systems. One out of three cars on the planet is fitted with Valeo’s electrical systems. Always a pioneer, the inventor of the Stop-Start technology has now equipped an all-electric car prototype with a low voltage 48V motor that is much cheaper than a high-voltage electrical system. With an estimated cost of just 7,500 euros, the car can drive up to 150 km between charges and reach speeds of up to 100 km/h. The low voltage (48V) electric motor can also be combined with a traditional engine for numerous benefits: the energy produced during braking and deceleration is re-used to power the vehicle, while fuel consumption and CO2 emissions are cut by 10%. That’s not all: a hybrid vehicle’s traditional 12V electrical system can be converted to 48V without major modification costs. Up to 4 million cars in China could be fitted with this technology by 2023. 48V: a smart and affordable solution, ideal for urban mobility.